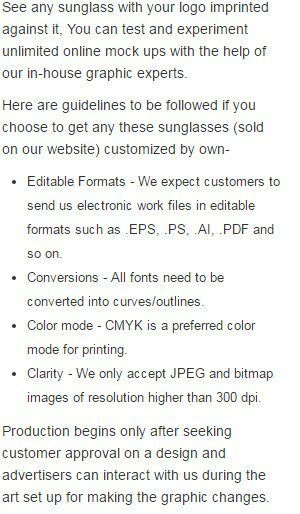 Lens printed neon color retro sunglasses with 5 color makes a wonderful party gifting favor throughout the year. They are perfect choice for all types of joyous celebrations such as parties, clubs or events. You can hand them out as an acknowledgement token during weddings, anniversary celebrations, homely parties or some community events. You can always avail huge discounts on bulk orders of these lens printed neon color retro sunglasses. Perfect for retro themed parties reminding of lively 50’s and 60’s. Features: Throwback pinhole lens stickers and 4 color process imprinting. These glasses should be engaged for novelty wear. Avoid driving or engaging in any other serious activity such as driving, with these glasses on. These glasses may curtail 65% of your view on wearing. We are not responsible for any damages, hence caused.